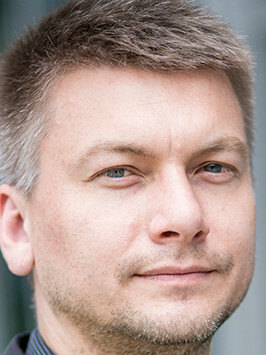 Przemysław Osiewicz is an associate professor at Adam Mickiewicz University in Poznan, Poland, specializing in EU policy towards the MENA region, Iran, and Turkey, a Fulbright Senior Award Visiting Scholar at Georgetown University, Washington D.C., from 2016-2017. Additionally, he authored and co-authored four monographs and over 70 book chapters and articles in political science including "Transformation Processes in Egypt After 2011 – The Causes, Their Course and International Response," R. Fiedler, P. Osiewicz (eds), Logos Verlag, Berlin 2015. Previously, Osiewicz served as Secreary of Research Committee RC-18 of the Inational Political Science Association (IPSA) and served as board member of the International Studies Association (ISA), the Polish International Relations Association (Poznan), and the Asia & Pacific Association. Alongside these roles, Przemysław served as scholar and visiting lecturer at the following Universities: Eastern Mediterranean University (North Cyprus), Chinese Culture University (Taiwan, 2008), National Taipei University (Taiwan, 2009), Selçuk Üniversitesi (Turkey, 2010), Linneaus Univerisity (Sweden, 2011), Konya Üniversitesi (Turkey, 2011), Hogeschool Ghent (Belgium, 2012), the Ministry of Interior (Cyprus, 2012), the Institute for Political and International Studies (Iran, 2013), the University of Nicosia (Cyprus, 2014), University of Nevada in Reno (USA, 2016), Cleveland State University (USA, 2016), Texas State University (USA, 2017), Georgetown University, Washington D.C. (USA, 2015, 2016-17). When Saudi Arabia, the U.A.E., Egypt, and Bahrain cut ties with the Qatari monarchy, the European Union found itself in a new and complex political reality. European leaders welcomed the re-election of Iranian President Hassan Rouhani with a sigh of relief.